Does it looks like a mass mailer they are sending out or something to VIPs? how do you people get all these $100 and upgrade now coupons.??? what does the fine print say right under the headline? What what is the Star * after 20% off accessories referencing agent? Looks like a mass mailer. But also got the private sale one also. Man that would be nice. This day and age can't go spending money willy nilly. So true...can someone take a clearer picture of it for us? * says Accessory discount only applies with upgrade or renewal. Excludes accessory bundles and closeout items. I'm wondering if this will replace people's NE2 if they don't have a NE2 available...or if anyone can get it....Someone want to send one to me? I just called and asked about it. 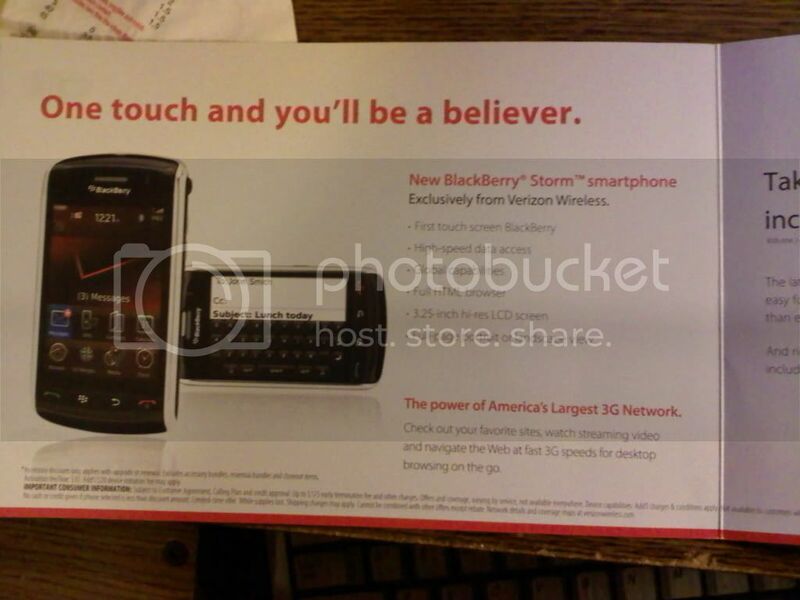 (Said that I had seen a flyer) The guy basically said it was promotion to get people into the new phone. I asked if it was like the Advanced Device Credita and he said yes and then noted my account so that I would get it for $99 instead of $199 with the rebate, no questions asked. I'm guessing it was for new customers only? Ya, I'm not a new customer, in fact, I had them OK an early upgrade for my two year plan in order to get this phone. I originally wasn't due for an upgrade until next July. That is originally why I called to see what the catch was in order to meet the requirements for the promotion. lol just called, the guy was an *****. 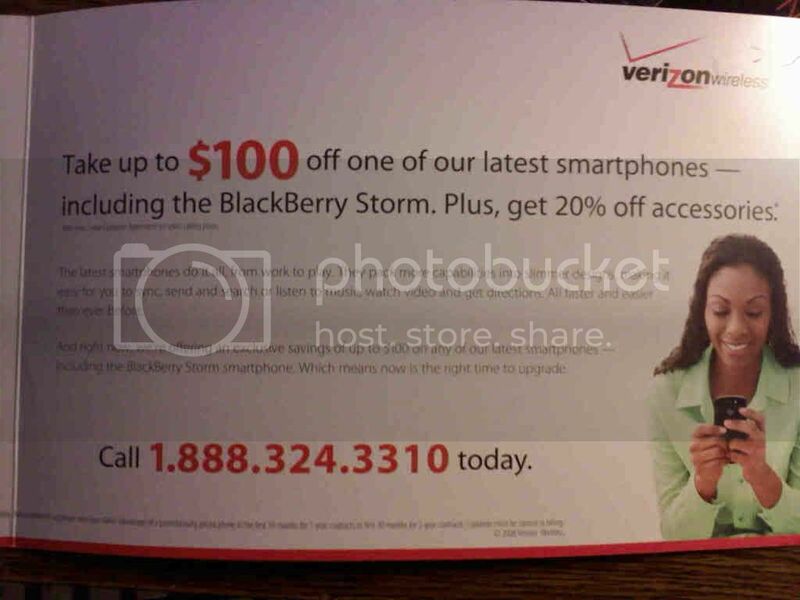 i told him about the flyer and he's like "no, u can't use it for the bb storm, it's only for the phones listed"
this is after i told him it says "$100 off any smartphone, including the storm"
I just called the 1888 number and the rep said that they dont handle the western side. she asked for my info and whatnot and asked if i was calling about the private sale. i said "no, i received this flyer about $100 off any smartphone and was wondering if i can use this with my NE2." she went to check and confirmed that i could. she said we can tell who received this flier and who didn't. she said that it's an over the phone only discount. she then said we will call those who got the flyer on friday and to expect the call sometime after 9am..
peabody, do you currently have a smartphone or bb?